While browsing the web, I discovered a great site . It’s called Weston Langford Railway Photography and contains a huge amount of pictures of Australian railway scenes, taken between 1961 and the current day by the well known railway enthusiast, Weston Langford. I did a search on Moreton and found about 20 pictures that were taken on the 22nd of November in 1966. 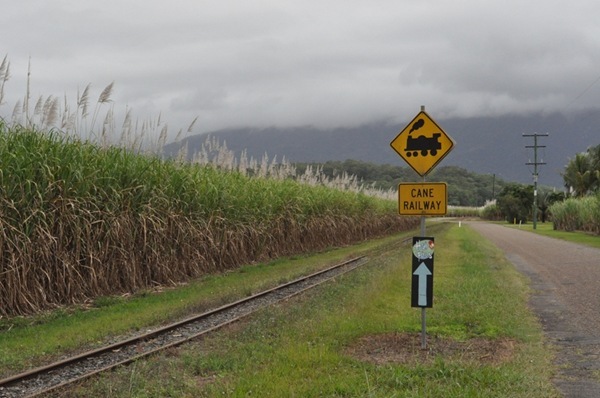 Inspirational stuff for modellers Australian sugar cane railways! 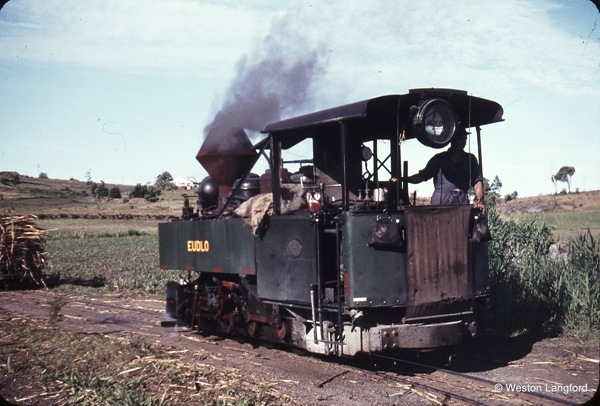 The image above shows ‘Eudlo’ uncoupling loaded sugar cane trucks near the main line junction, before backing up to take on water at the Bli Bli water tank. The Farmal M tractor indicates that the scene is set in the ’50s which is when I grew up on a cane farm outside Mackay. Cane growing was a complex and very regulated business but I will keep this brief. 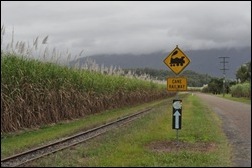 Cane was planted between March and June depending on the wet season that year. In our area the wet season started the last week in January. However no-one, except maybe Lennox Walker, knew if it would last a day, a week, a month, or 5 months. With regards to railway modelling, summers always tend to be a bit slow … so it’s a good time to browse the web a bit. 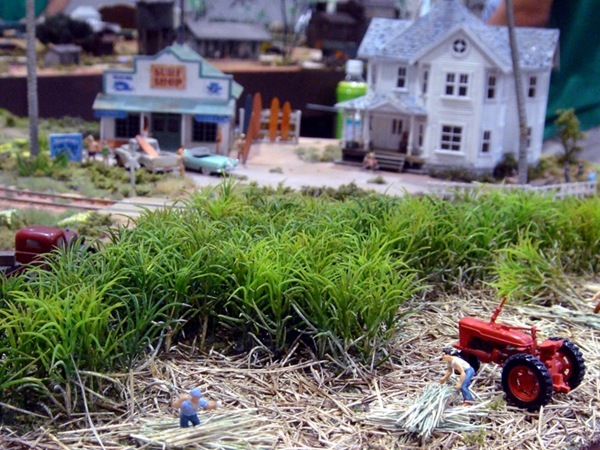 During one of my searches, I bumped into some great pictures of modelled sugar cane on a Japanese site . It took all my language skills …or better to say, the automatic translation option of Google Chrome to find the the owners of the Japanese layout. It is called the Hawaiian Pacific R.R. and I dropped them a note to find out what material they had used to model the HO scale sugar cane. I was very surprised hear that it is artificial grass … and of course it was only available in Japan itself, so I contacted the company that sells the stuff. Unfortunately they didn’t ship outside of Japan, forcing me to find another way to get it shipped home. … completely different! 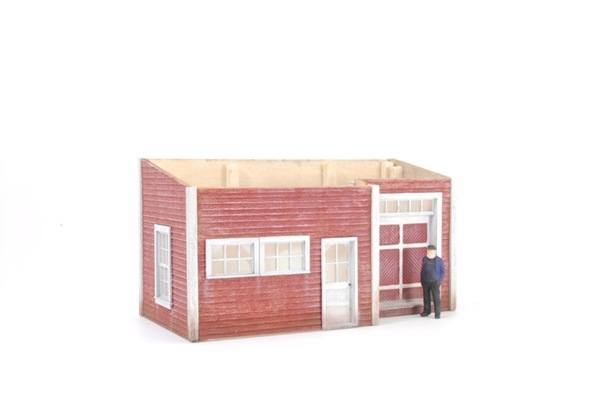 No, I am not going to stop building my Australian layout nor am I putting my Shay on hold. I only decided to do a small project on the side and entered the Eurospoor 2011 diorama contest organised by the Dutch Beneluxspoor forum. As I do not live in Australia myself, I am always on the lookout for Australian layouts that are based on Queensland. They can act as a good example for Queensland structures and scenery. 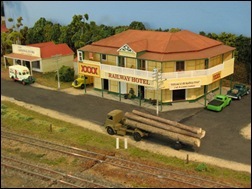 A very interesting S scale (1:64) layout was exhibited at the Brisbane Model Train Show this year. Watch this YouTube video, if you would like to see more of the Rosevale layout.